Just bought this SW, according to the specs it is 300W, but I noticed on the metal plate on the back panel it says 240W. Thoughts? I think the 240 watts you are referring to could be volts not watts. The R-10SW is spec'd at 150w RMS and 300w peak. Same issue here. 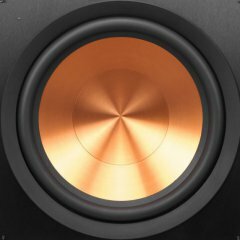 Not an expert but have had many subs and this one sounds awful. It's a R-10SWi NA. Under this is reads - Power 240W. First problem, "NA" doesn't seem to exist. Last, unless Klipsch is THAT different, as an electrician the W after 240 means watts. Something isn't right here. Thank you. Maybe North America (i.e. 120V mains)? Bought it in the Chicago suburbs. Maybe I received a special edition with dual VCs!!!😁. Thank you for responding. Your sub is a 150W/300W sub. The 240W on the back panel is just the subs power consumption, not the amplifiers output.